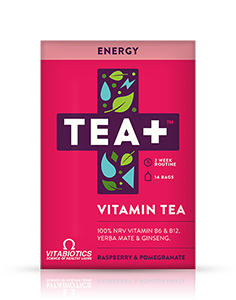 Vitamin C is important for overall health and wellbeing as it contributes to the normal functioning of the immune and nervous systems. Free radicals are produced in excess due to exposure to pollution, sunlight and many other factors such as cigarette smoke, and modern day-to-day living. Vitamin C supports the body's ability to neutralise free radicals by contributing to the protection of cells from oxidative stress. Vitamin C is a co-factor for collagen synthesis, the substance that keeps skin supple. It contributes to normal collagen formation for the normal function of bones, teeth, cartilage, skin and blood vessels. The vitamin C increases non-haem iron absorption, the mineral essential for normal formation red blood cells and haemoglobin. 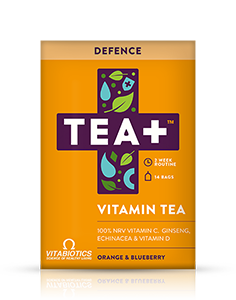 TEA+ Defence is available in the UK from Boots, pharmacies and health stores including Holland & Barrett. Alternatively order online here.